Specially appointed and crafted to harken back to SJ-200s of yesteryear. The King of the Flat-tops is back, but designed with a its past in mind. Played by more legendary performers and featured on more albums in more genres than any other jumbo acoustic in history, the SJ-200 has made its presence known since 1937. 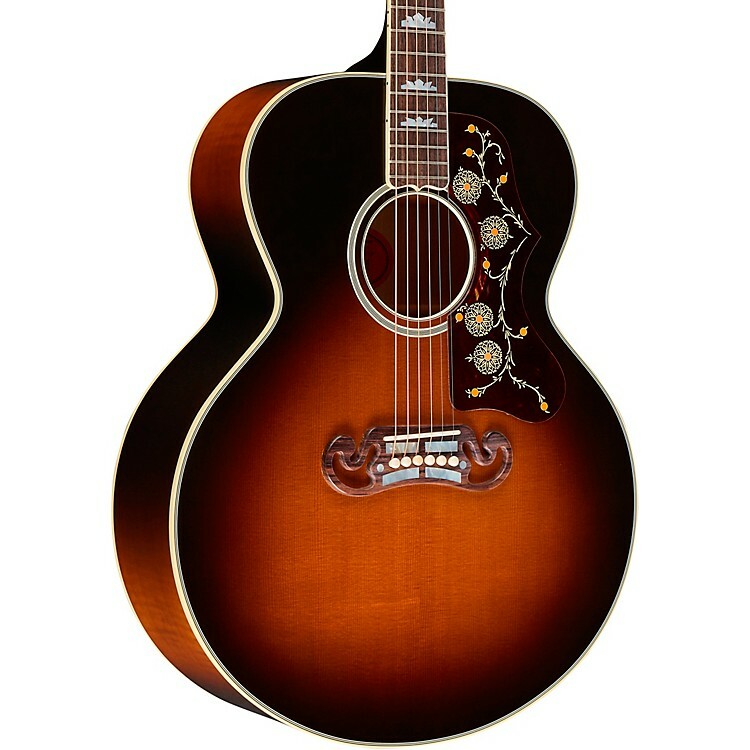 This limited run 2019 Vintage acoustic-electric guitar is hand built with time-honored construction methods and classic Gibson style. Adding to its classic appeal, Gibson paired a flame maple body with a Thermally Aged red spruce top bolstered by a traditional hand-scalloped X bracing and hide glue. They've completed that with a Thin Vintage Sunburst Finish plus a hand-rubbed VOS process, for a truly vintage-inspired look and feel. The 2019 SJ-200 Vintage acoustic guitar comes with a hardshell case. Grab this great Gibson today.